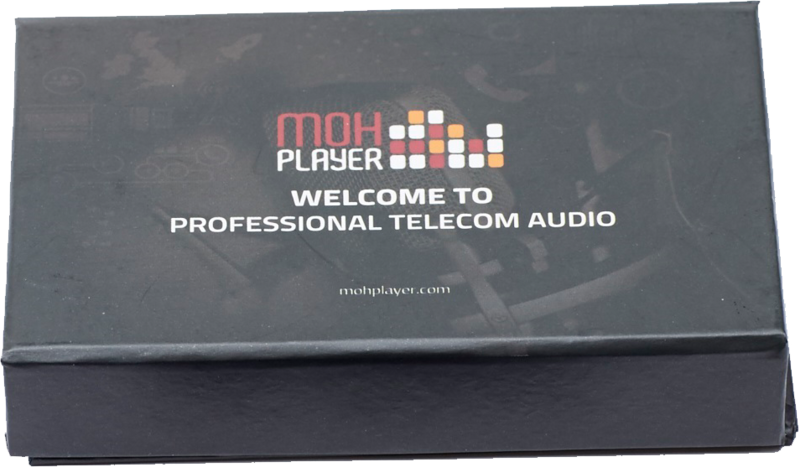 MOH Player combines our unique Message On Hold player device and fantastic web technology to allow you to quickly and simply create custom messages on hold for your business. 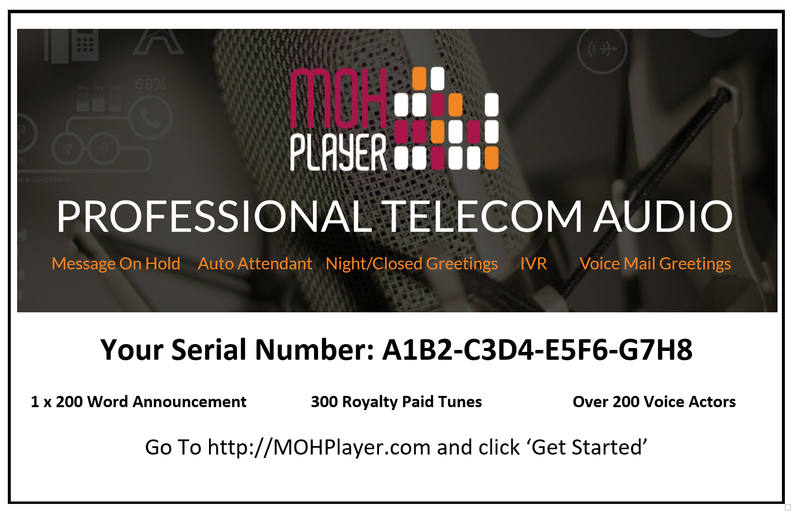 We have hundreds of talented Voice Actors ready and willing to help you create and record your informative and professional message specifically for your business. Click to learn all about the Message On Hold player unit.